I have an enduring relationship with loose-leaf tea, probably partly because it's a major part in both my ethnicity and British nationality. Recently, my sister bought me tea to add to my growing collection. It's the Lalani & Co Premium Assam tea, and it's by far one of the best teas I've ever had. Assam is perhaps one of my favourite teas. You can never go wrong with it, and it's one of those types of teas that you can have regardless of mood. I thought I'd write a short review on the tea since I liked it so much! 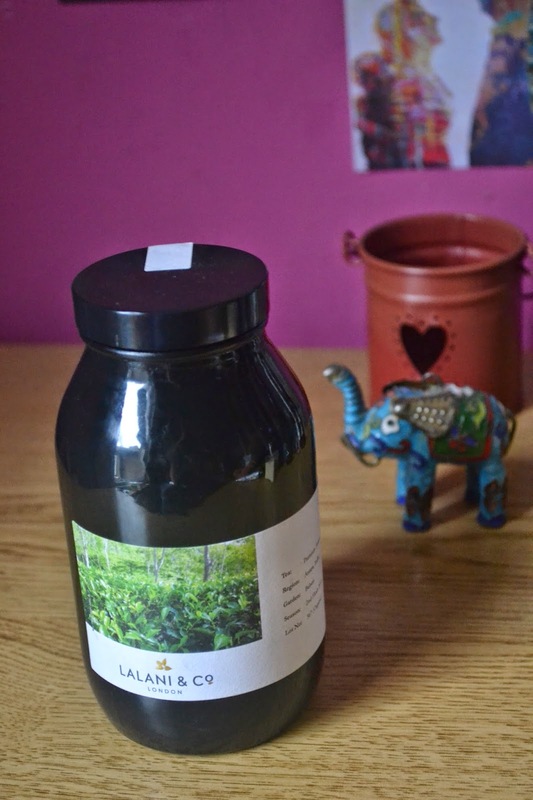 Lalani & Co is a family-run business, who specialise in organic, artisan small-batch teas. It's a very close-knit business, as you can tell by just reading the "About" section on the website; its founder, Jameel Lalani, and tea-taster (couldn't really work out what his job title is) Ben Ireson, went to school together when they were 4 (how cute!). Let me just briefly mention the design of the jar. It is so beautifully simple and luxurious. Simple yet chic. The Assam tea is quite a light flavour. Personally, I don't think it's full of complex flavours, which is why I like it. Assam in general is my staple tea; the kind of tea I'll drink regardless of the time of day, my mood or what-not. Any other types of tea, I can only have at certain times of the day. Green tea for example is my go-to tea for after dinner, whilst yunnan tea I like when I'm feeling low. Lalani's Assam tea smells wonderfully slightly sweet but tastes ever so creamy and malty. The stronger you make it, the maltier it becomes. The jar states it has a dry finish and for me I only found this if I made a very, very strong pot of tea. I found that the maltiness was slightly lost when I reused the tea-leaves, but the creamy texture became enhanced and it also tasted lighter. This was quite a nice end to the tea drinking in my view. If you're looking for ideas for Christmas Day or Boxing Day, this tea would go nicely with the cheese board. This tea would pair so well with a slightly strong cheese, like a matured cheddar cheese. I tried the Assam with a slice of blue cheese I had bought from La Cave à Fromage and absolutely loved this pairing. The heat from the tea melted the cheese in your mouth, really enhancing the cheese flavour. Alternatively, the tea tastes super with dark chocolate. 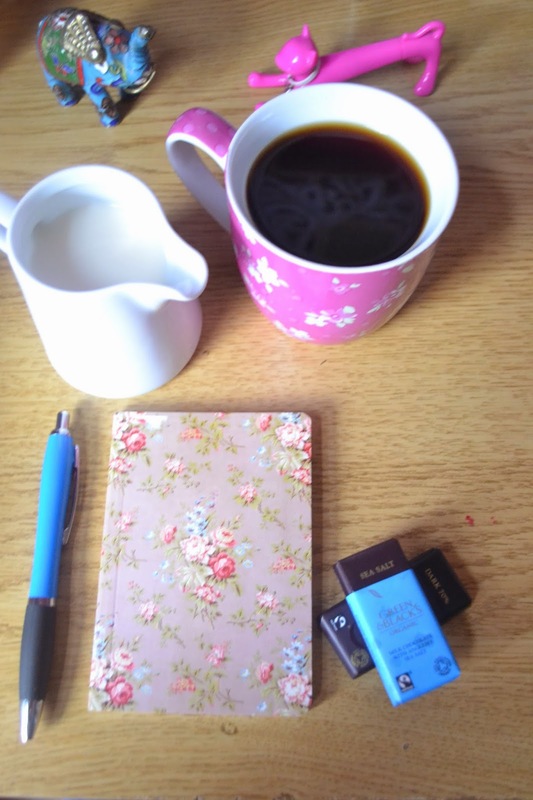 I've tried it with and without milk, and found without milk really enhances the flavours of both the tea and chocolate. Dark chocolate is an awesome pairing because the heat from the assam tea melts the chocolate and cuts through the bitterness of the chocolate. If you're in Marylebone over the next few days for last-minute Christmas present shopping, you can pop into Curator's Coffee (equally worth a visit for the coffee) near Oxford Circus, to buy a jar. They also have stockists in other places in and out of London. For all my international readers, fear not, Lalani & Co have specifically chosen stockists across the world. UK readers, they also have an online shop, where they also sell infusionware to help you get the best from the tea. Have you tried artisan tea before? What was your favourite tea type?